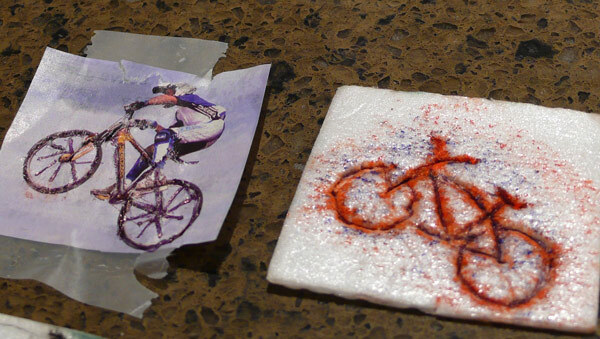 Here’s a great idea for easy print-making designs using pictures from magazines, pencils, and clean, washed styrofoam trays. These easy to do prints make it easy to create beautiful greeting cards for birthdays, Mother’s Day, Father’s Day, Grandparents Day, Valentine’s Day, Christmas, Easter, as well as invitations for birthday, Valentine and Hallowe’en parties. Student looks through magazines or papers to cut out Easter pictures (or appropriate picture for the holiday you’re celebrating). Student tapes picture on top of piece of styrofoam, then traces the picture, pressing fairly hard with their pencil so that they will make an imprint in the styrofoam. Older students can draw freehand. 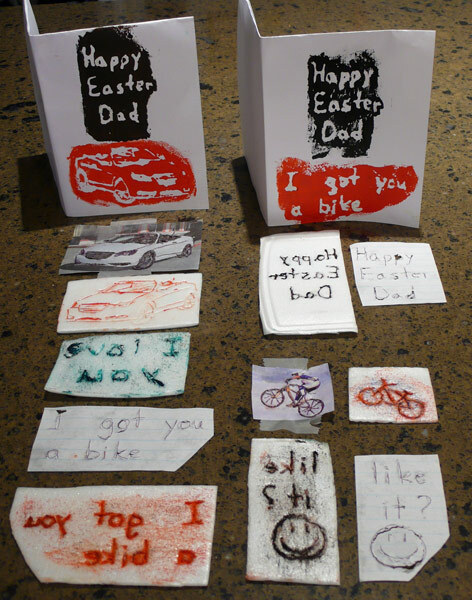 Younger students can print out their message, such as “Happy Easter Mom and Dad. Love Sally” on a piece of paper, then instruct students to flip over their message and trace it on the back side. They can do this against the window or up to a light. Show students how their printing will be mirror image once it is pressed onto their card. Once their message is traced (on back side), they can tape it to another piece of styrofoam and trace it (mirror image) onto the styrofoam. Tell students about Leonardo da Vinci (see below for notes on his mirror image note taking). Once the picture (or message) is traced, remove the picture (or message) from the styrofoam. 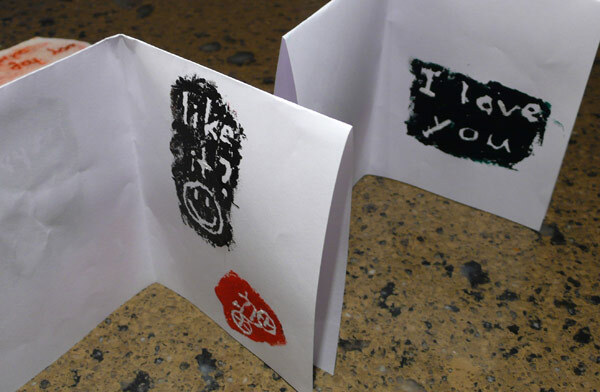 These cards are easy for even the youngest students to make and they always turn out beautifully. Adults are amazed at the great cards. 2. Renaissance man, Leonardo di Ser Piero da Vinci, born Anchiano, Florence, Italy, died at 67 in France. 3. smart, excellent at arithmetic, always drawing, apprenticed as artist with Verrocchio in Florence and became a first-class geometrician. 4. had kindness, generosity, well-loved by friends, great conversationalist, handsome, persuasive, physically strong, generous (fed all his friends), wrote fables about placing too high esteem upon yourself and benefits to be gained through awareness, humility and endeavour (working hard).